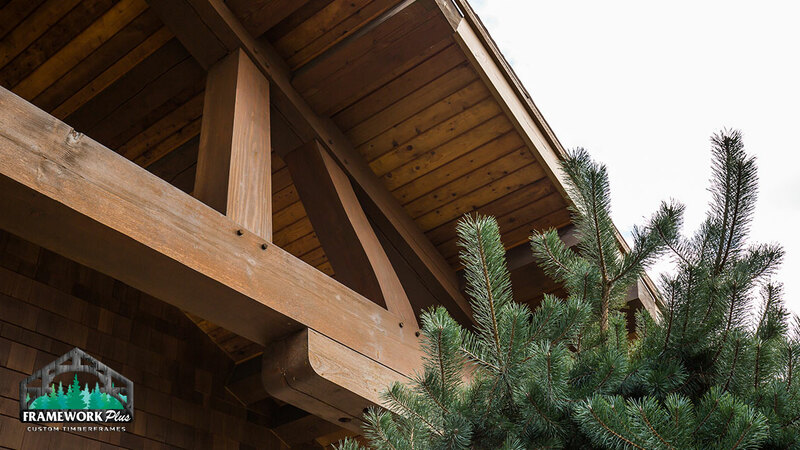 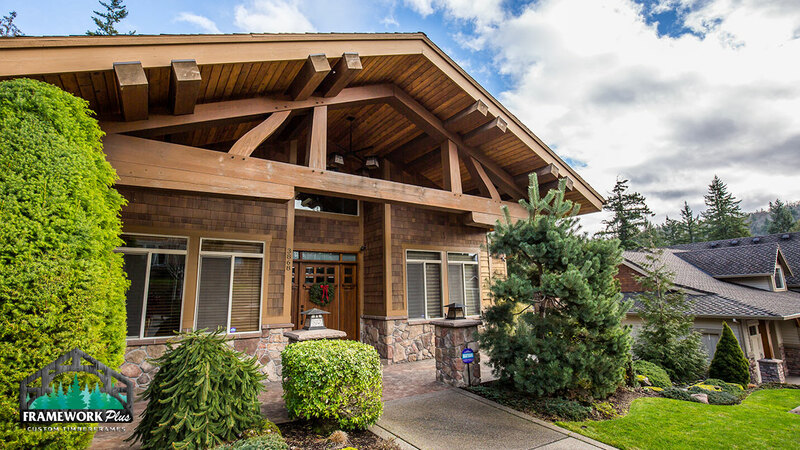 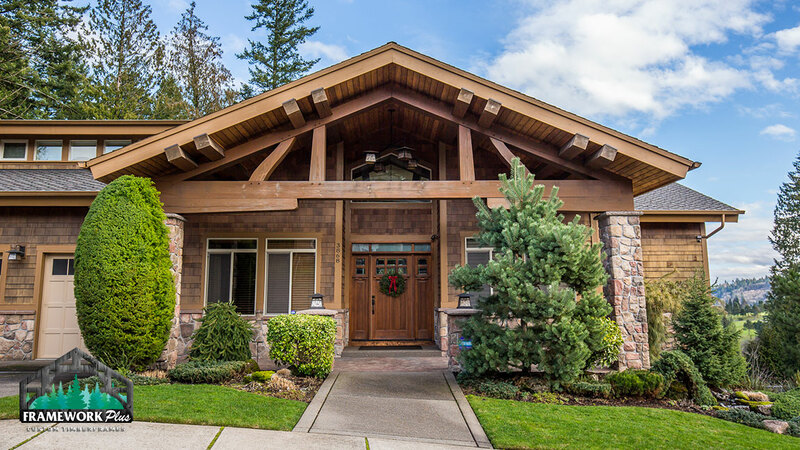 This custom timber frame entryway in Gresham, Oregon features gorgeous queen post trusses. 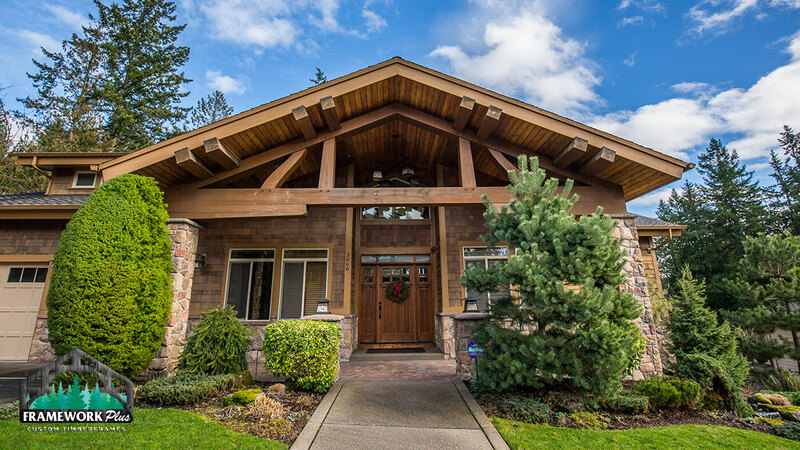 With a 32’ span, this stunning entryway is integrated with the trusses on the inside of this Gresham hybrid home. 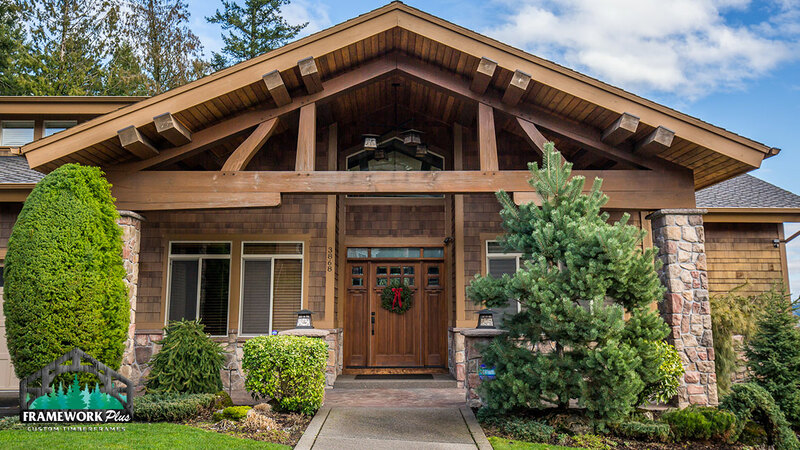 A timber frame entryway is an eye-catching addition to any home.